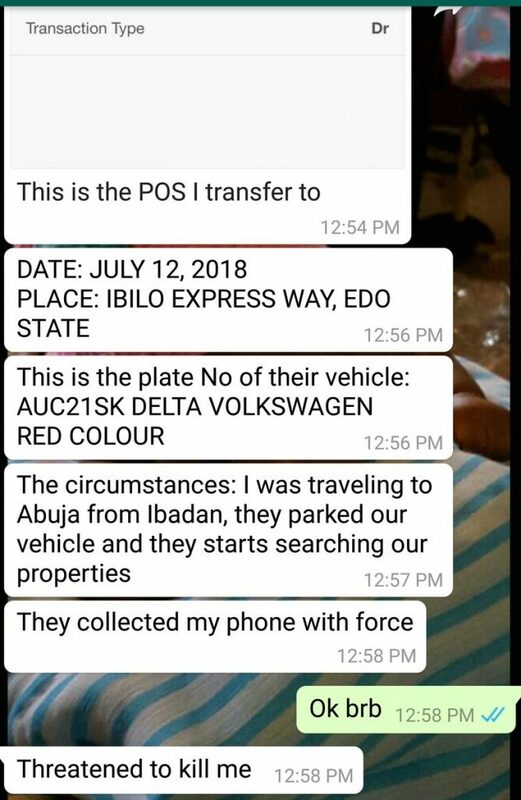 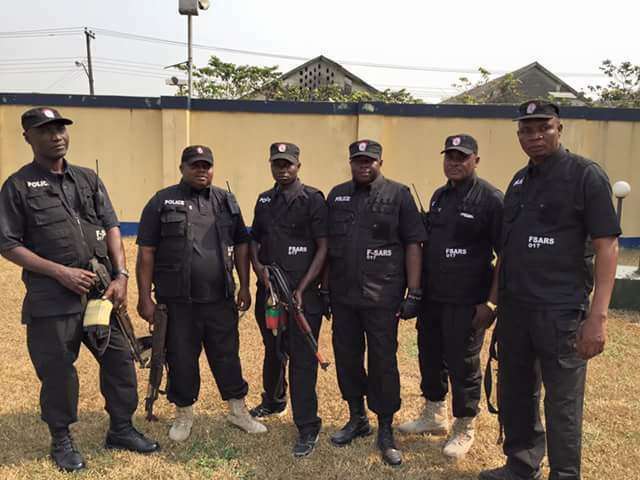 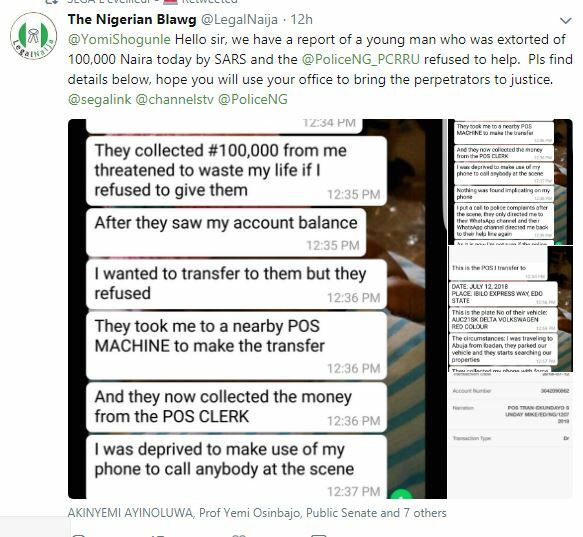 A young man has cried out to the Assistance Commissioner of Police after his very sad experience with SARS officials on his way to Ibadan from Abuja, According to chats he had with Twitter activist. 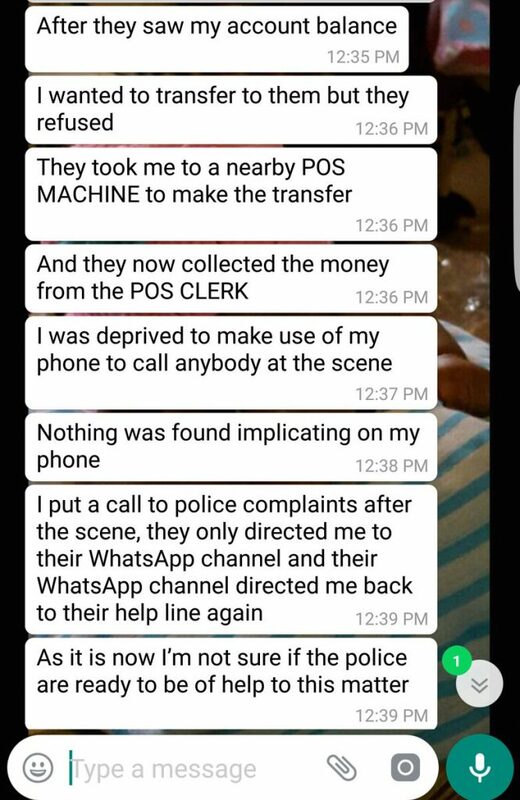 That they threatened to to waste his life if he doesn’t comply with them. 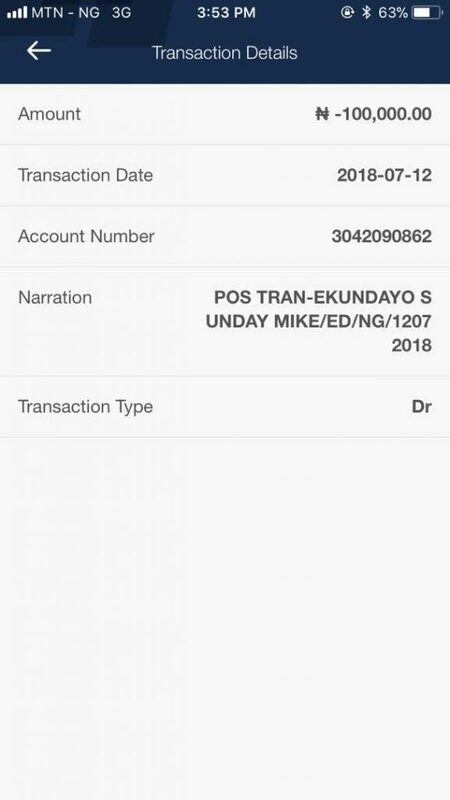 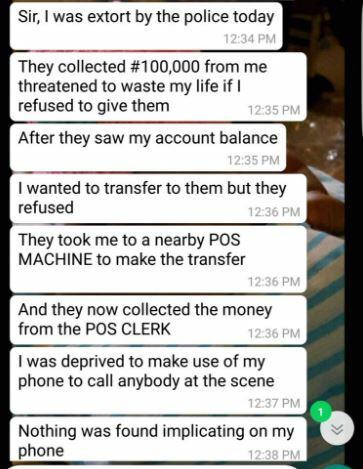 But however the ACP of Police Yomi is yet to respond..
0 Response to "‘They Threatened To Waste my Life’- Man Cries Out After SARS Forcefully N100k from him with POS"